The former Arbitration Law3 was silent on a number of issues, such as interim measures, multiparty arbitrations and challenge of arbitrators. Scholarship and jurisprudence had resolved these issues in line with international standards, but there were still some difficult topics that were not addressed with consistency. With the adoption of the Arbitration Act, these main problems were resolved, and Portuguese law now explicitly follows international standards. 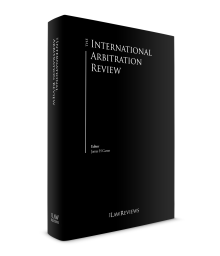 This chapter aims to address some of the more important aspects of the Arbitration Act. Under the Arbitration Act, all persons may enter into arbitration agreements relating to disputes regarding economic interests. Given this, all commercial disputes can be subject to arbitration. Previous laws have also admitted arbitration in formerly unthinkable areas such as enforcement proceedings, administrative and tax law. Nevertheless, the law that admitted enforcement proceedings through institutionalised arbitration – a truly innovative feature of Portuguese legal framework – was revoked in 2013. Arbitration agreements must be in writing, but Portuguese law adopts the broad definition of written form established in the New York Convention and in the Model Law. The law further adopted the incorporation theory, providing that a referral to an arbitration agreement included in a different document is enough to grant jurisdiction to the arbitral tribunal. The arbitral tribunal is competent to rule as to its jurisdiction under the well-known principle of Kompetenz-Kompetenz. The law provides for the 'negative' effect of this rule, according to which national courts may not decide on an arbitral tribunal's competence before the tribunal issues its ruling. This disposition is applicable only in cases where the lack of jurisdiction is not obvious. It is also admissible that the tribunal grants measures without hearing the opposite party. This is allowed through a request of a preliminary order, which the arbitral tribunal can grant if it considers that prior disclosure of the request for the interim measure may frustrate its purpose. The downside of this regime is that, as in the Model Law, a preliminary order cannot be enforced in a national court. The Arbitration Act provides that the number of arbitrators may be chosen freely by the parties to the arbitration agreement, but must always be uneven. If the parties are silent about the number of arbitrators, the law establishes that there will be three: two appointed by each one of the parties, and the third chosen by the two arbitrators appointed by the parties. The arbitrator must be an individual; it is not possible under Portuguese law to appoint a legal entity. All arbitrators must be independent and impartial, and have the duty to disclose any circumstance likely to give rise to justifiable doubts as to their impartiality and independence. The proceeding for challenging an arbitrator is provided by the Arbitration Act, but the parties can agree on different provisions or refer the case to an arbitration institution. When they do not set the rules, the challenge of an arbitrator is ruled by the arbitral tribunal, which will include the challenged arbitrator. The Act further provides that if the arbitral tribunal rules to uphold the challenged arbitrator, the challenging party may appeal to a national court on this issue. While such a request is pending, the arbitral tribunal, including the challenged arbitrator, may continue the arbitral proceedings and render an award. If the arbitrator is, following a challenge, refused, the decision cannot be reverted to national court. The reason behind this distinction is related to the protection of independence and impartiality. If the arbitrator steps down, there is no risk of a lack of independence or impartiality. If one party does not appoint its arbitrator or if the parties do not agree, when required (sole arbitrator or arbitrator nominated by both parties), they can apply to the national court to appoint the missing arbitrator. The competent national court is the court of appeal. The Arbitration Act adopts the Dutco rule in multiparty arbitrations, but with a particularity. The state court shall only appoint all arbitrators if it becomes clear that the parties that failed to jointly appoint an arbitrator have conflicting interests regarding the merits of the dispute. The ratio is to prevent the defendants from withdrawing the claimant's right to appoint an arbitrator when the equality principle does not force it. If the defendants do not have conflicting interests, there is no ground to give them the possibility to remove the claimant right to appoint its arbitrator – one of the most-liked arbitration features. As soon as the sole, or the third, arbitrator is appointed, the tribunal must grant an award within 12 months. This limit can be extended by agreement of the parties or, as an alternative, by decision of the arbitral tribunal, one or more times, with successive periods of 12 months. The parties may nevertheless agree on a different time limit in the arbitration agreement or in the procedural rules. experts appointed by the tribunal. Parties and arbitrators thus have a great amount of power to create a 'tailor-made' procedure. Parties may create the rules in the arbitration agreement, which is relatively uncommon, or before the appointment of the first arbitrator. As soon as the first arbitrator is appointed, the competence to create rules is exclusively assigned to the arbitral tribunal. Under Article 30 of the Arbitration Act, procedural rules shall ensure procedural equality of the parties, the right to defence, and a fair opportunity to respond to all points of law and facts. Basic and fundamental principles of law are the equality of treatment between parties and the mandatory prior summons of the defendant. Where authorised by the arbitral tribunal, a party may request assistance in the taking of evidence from national courts. In such a case, evidence is taken and weighed up by national courts and sent to the arbitral tribunal, which shall analyse it together with the rest of the evidence. One important innovation of the Arbitration Act is the provision about third-party participation. Both joinder and intervention are widely admitted. The arbitral tribunal can grant such request whenever the parties (old and new) are bound by an arbitration agreement, the intervention does not unduly disrupt the normal course of the arbitral proceedings and there are serious reasons that justify the new party's addition. The arbitral tribunal then has a discretionary power to decide whether to accept the intervention of the third party. The rules do not prevent different provisions created by the parties or set forth by an arbitral institution. The award must be approved by a majority of the arbitrators and shall include the grounds upon which it has been based. The parties can, however, waive their right to have a substantiated decision. In such case, the lack of grounds cannot lead to the setting aside of an award. The arbitral tribunal shall decide in accordance with the law, unless the parties determine otherwise in an agreement, that the arbitrators shall decide ex aequo et bono. The arbitrators may also decide the dispute by reverting to the composition of the parties on the basis of the balance of interests at hand. Portuguese scholarship shares some doubts about the exact meaning of this decision criterion, mainly on how to distinguish it from ex aequo et bono. An arbitral award has the same status as a judicial award: res judicata effect and immediate enforceability. Under Portuguese law, there is no need to recognise the arbitral award for domestic purposes, and so it may be enforced the day it has been granted. The enforcement proceedings are presented to a national court, and start with immediate seizure of the debtors' assets. The entire proceeding is conducted by a private clerk, and nowadays is a quick and effective process that is fully computerised. The court of appeal can set aside an arbitration award when one of the grounds established in Article 46 is fulfilled. This provision is inspired in the similar article of the Model Law (and the New York Convention), with a few specific rules. the content of the award is in breach of the principles of the international public policy of the state. The last two grounds (arbitrability and public policy) can lead to an annulment of the award, even when not invoked by the parties; the other grounds must be raised by them. The Arbitration Act is to be applied to any arbitration that is held in Portugal. Arbitration is considered international whenever international parties or issues are at stake. However, the distinctions between international and domestic arbitration law are few. The majority of the applicable provisions are the same as the ones that rule domestic arbitration. Parties may choose the law applied by arbitrators. Where such choice is not made, the tribunal shall apply the most appropriate law to the dispute. Portugal is a party to the New York Convention, but with the reciprocity reservation, which means that only the awards rendered in states that are parties to the New York Convention follow this regime. Accordingly, foreign arbitral awards rendered in countries that are not signatories to the New York Convention must follow a recognition procedure governed by the Arbitration Act and decided by the court of appeal. Nevertheless, this difference has little meaning, taking into consideration the fact that the regime adopted by Portuguese law is equal to the New York Convention. The practical result is the waiver of the reciprocity reservation. Nowadays, independent of where an award is rendered, it will be recognised and enforced in Portugal under a set of rules identical to the New York Convention. the recognition or enforcement of the award would lead to a result incompatible with the international public policy of Portugal. Only the two last grounds can be raised by the court, even when the parties have not done so. The others can only be addressed by the court if one the parties raises it. Portugal is also a party to the Washington Convention on the Settlement of Investment Disputes between States and Nationals of other States of 1965 (ratified in 1984) and to the Inter-American Convention on International Commercial Arbitration signed in Panama in 1975.
the recognition of a foreign arbitral award. However, some judicial decisions that are still taken by the district courts, such as cooperation in the taking of evidence. Under the Arbitration Law, anti-suit injunctions are not admissible. The most important arbitration institution is based at the Portuguese Chamber of Commerce and Industry, and was established in 1986 to facilitate and promote domestic and international arbitration. Its rules were recently changed and entered into force in March 2014. They were updated according to the modern trends of arbitration, including the adoption of an emergency arbitrator. More recently, in 2016, the Chamber adopted fast track arbitration rules, a set of rules that aims to tackle slow arbitration proceedings, especially, but not exclusively, in cases involving small amounts. The Oporto Commercial Association also has an important arbitration centre, and has recently approved new arbitration rules following international best practices. Further to a public initiative, several arbitration centres were recently created in different (and until now, highly improbable) fields, such as consumer conflicts, and administrative and tax disputes. These centres have strong state support and very strict procedural rules. Only those people that are listed by the respective centres can be appointed as arbitrators. There has been a huge growth in arbitration in Portugal in the past 10 years. This increase is mainly due to the constant investment by public authorities that acknowledge that arbitration and other alternative methods of dispute resolution are a way to resolve problems relating to the national justice system, such as the excessive number of lawsuits. This highly favourable trend is followed by jurisprudence as well as scholars, which increasingly support the more modern approaches. Following this trend, law schools and universities have started to offer courses about, and have been promoting, arbitration and other alternative methods of dispute resolution. The recent approval of a new and modern Arbitration Act is a strong step towards the credibility of arbitration in Portugal. In 2015, Law No. 144/2015 transposed the Consumer ADR Directive into Portuguese legislation. The Law provides a duty of all professionals to inform consumers of alternative dispute resolution (ADR) mechanisms. Following the entry into force of the Act, companies started changing their contracts and sharing information about mediation and arbitration on consumer disputes. This will probably increase not only the use of alternative dispute mechanisms, but also raise social awareness of ADR, which we think could have a positive effect on commercial arbitration. In addition to this law, a proposal for a new law regarding corporate arbitration, which provides for special rules applicable to arbitrations involving litigation between companies and partners, is in the formal hearing stage. The future approval of this law will improve the resolution of corporate disputes. The Portuguese judiciary has given constant support to the autonomy of arbitral tribunals. Judges of the superior courts continue to show that they understand the arbitral phenomenon; their very positive attitude regarding arbitration can be seen in most analysed decisions, which demonstrate deep knowledge of national doctrine and jurisprudence, and even of foreign scholarship and jurisprudence. The main matters addressed by the state courts are jurisdictional issues. There are increasing decisions of the state courts over arbitration. In 2017, several judgments addressed the Kompetenz-Kompetenz principle. In every one, the ruling went according to Portuguese law, which follows international standards: when one party argues an arbitration agreement, the national court immediately dismisses the case. The only exception is the clear invalidity of an arbitration agreement, which did not occur in any of the cases judged. In another case, the national court considered to be incompetent due to the existence of a valid arbitration clause. Another case regarded arbitrators' fees in necessary arbitrations and concluded on the reasonableness of such fees. Finally, in another case, the Portuguese superior court dealt with the legitimacy of a third party's intervention in an arbitration procedure. The intervention was accepted once the third party agreed to join the arbitration. Without doubt, the analysis of the case law is a sign of the national courts' actual and deep knowledge of arbitration, which provides support and security to arbitration in Portugal. Portugal is a signatory to the Washington Convention, but has never been party to an ICSID case. On the other hand, in 2013 and 2015, for the first time two Portuguese companies sued two states through investment arbitration proceedings. The first case was filled by Dan Cake against Hungary and the second by PT against Cape Vert. The first has been decided in 2017, with the Portuguese company having won on a denial of justice as ground. After that, since March 2018, is pending an annulment proceeding. The second case is still pending. This represents an unequivocal indication that the Portuguese legal community is growing in its knowledge of and sophistication in arbitration matters. Today, arbitration is well established and is commonly used in Portugal. As previous cases brought before court have demonstrated, arbitration is well understood and its rules are solidly implemented within the Portuguese legal community. An important step was taken with the approval of a new Arbitration Act based on the Model Law. Some essential issues will need further discussion, especially multiparty arbitration, interim measures and public policy as grounds for setting aside an award. One issue that has created some controversy is preliminary orders. We think that the international controversy about these interim measures has had echoes in Portugal. The problem refers to ex parte measures and their violation of the adversarial principle and, in consequence, due process. A procedure for preliminary orders has been fully adopted by the Arbitration Act, but its practical application will surely raise doubts and difficulties. For now, there have already been a few cases that have applied these rules and granted a preliminary order. In the known cases, the party voluntarily complied with the order. The next few years will certainly see a greater progress in arbitration in Portugal. Discussions about the new legal projects in arbitration and constant legal education in this field in law schools is expected to bring extensive debate in the arbitration legal community, and will continue to raise awareness of international developments in this area. 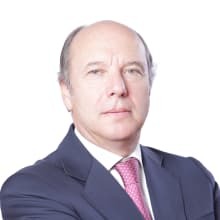 1 José Carlos Soares Machado is a partner at SRS Advogados, Sociedade Rebelo de Sousa & Advogados Associados, SP, RL. 2 Arbitration Act (Law No. 63/2011, 14 December, which entered into force in March 2012). 3 (Law No. 31/86, 29 August). 4 With Angola in 1995, in force since 2006; with Cape Verde in 2003, in force since 2005; with Guinea-Bissau in 1988, in force since 1994; with Mozambique in 1990, in force since 1996; and with São Tomé e Principe, in 1976, in force since 1979.